Tehran, Sept 29, IRNA – The death toll of the Iranian pilgrims reached 239, Head of Hajj and Pilgrimage Organization, Saeed Ohadi said on Tuesday. Speaking to IRNA, Ohadi said the number of injured and missing Iranian pilgrims are 14 and 241 respectively. The pace of identifying victims of the stampede in Saudi Arabia is very slow, he said. 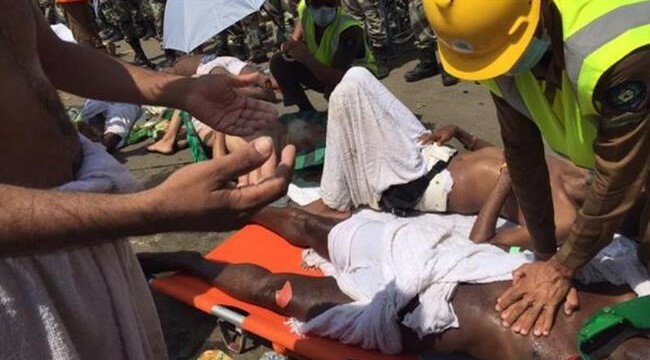 Over 4700 Haj pilgrims were killed or injured in Mina catastrophe. Some 64,000 Iranian pilgrims went to Saudi Arabia to attend this year’s Haj ritual ceremony. The first Iranian group returned back home on Monday at Imam Khomeini International Airport.